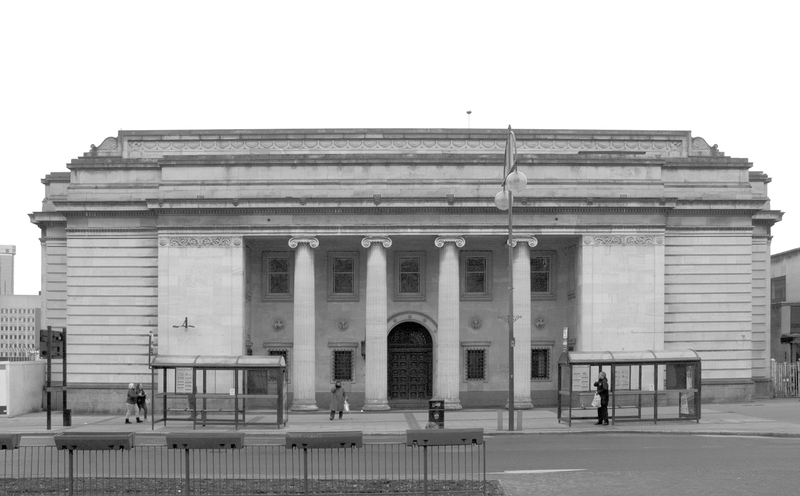 The imposing structure of the Birmingham Municipal Bank on Broad Street has stood overlooking the city as new buildings have emerged all around. Venues, bars, restaurants, hotels and office blocks have all sprung up around it over the years whilst the bank has sat redundant and unloved, until now. For those with a love of architecture, civic buildings, unused structures and art, Thrift Radiates Happiness helps bring it all together. The historic Grade II listed landmark is set to open its doors to the public for the first time in ten years when it plays host to a captivating four day contemporary arts exposition showcasing a creative programme of drawings, images, sound and light, video and music from local, national and international artists. At the launch event on the 14th March (5-8pm) attendees will be invited to ‘invest’ £2 in a key. The randomly selected key will open a safety deposit box which will contain a limited edition art print. A public debate will be held on Friday 15 March (5.30pm-7pm) on the subject of ‘Design Culture Birmingham’. The Birmingham Architectural Association together with RIBA will host a panel that brings together architecture, art, local government and the heritage sector discussing the benefit of ‘design culture’. The event will look at the common benefits of a well-designed and well-preserved built environment, as well as a vibrant cultural offer for cities and their inhabitants. This entry was posted in Art, Birmingham, Exhibitions and tagged Birmingham Municipal Bank, Broad Street, I, Thrift Radiates Happiness. Bookmark the permalink.